Jaguar E-Pace Running Costs, MPG, Economy, Reliability, Safety | What Car? The E-Pace costs a bit more to buy than many rivals, including the BMW X1 and Volvo XC40. However, the flipside is that it’s predicted to hold onto its value better than many of its peers, helping to reduce the amount it will cost you to own in the long run. 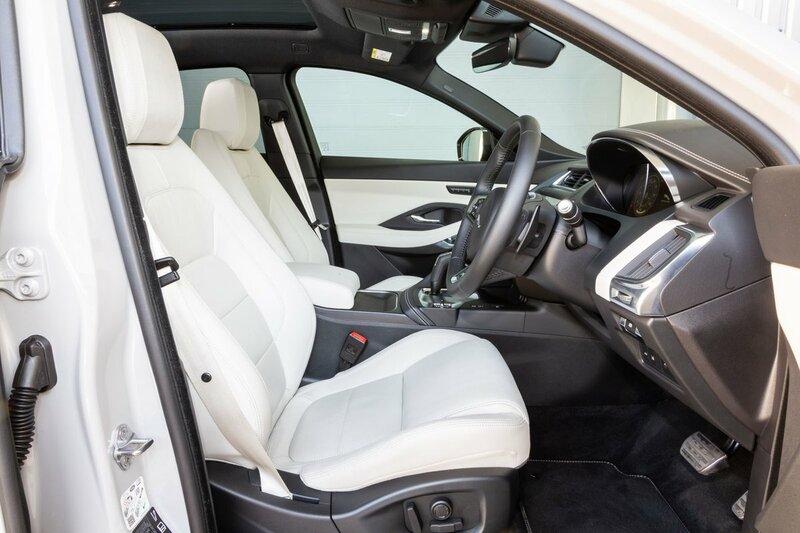 If you’re buying on PCP finance, monthly fees won’t be as high as you might expect, although the equivalent XC40 will still cost you considerably less. While leasing rates are competitive for company car users, expect to pay more in benefit-in-kind tax, due to relatively high CO2 emissions. We have yet to put the E-Pace through our real-world True MPG tests. Claimed fuel economy isn’t anything to write home about, though; the biggest-selling 178bhp diesel promises an average of just over 40mpg in automatic form. Expect a fair bit less in the real world, however. Choosing a trim level for your E-Pace is a two-stage affair. First, you have to choose whether you like the look of the standard car or prefer the sportier styling of the R-Dynamic version. The latter gets you a more aggressive bodykit, satin chrome side vents, a gloss-black grille and twin tailpipes. After you’ve made that decision, then you have to decide how much equipment you want. 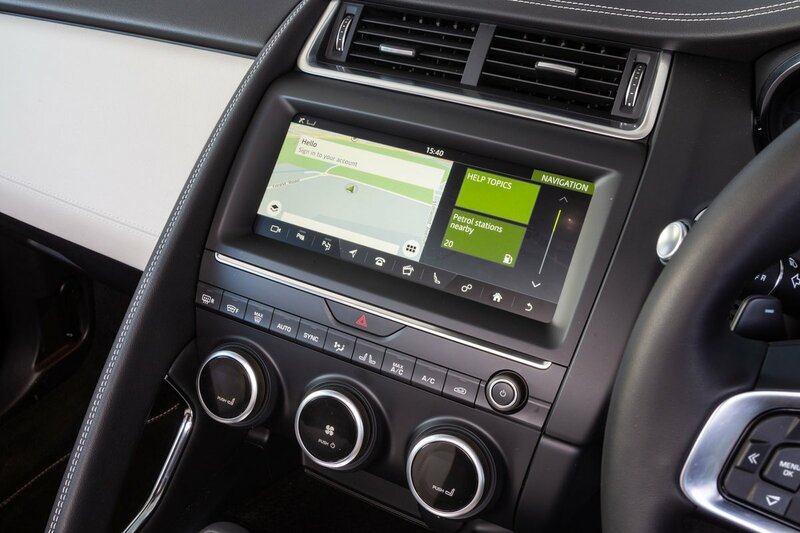 All versions come with dual-zone climate control, cruise control, front and rear parking sensors and LED headlights, but we’d recommend spending a bit extra on the S trim, which adds leather seats (electrically adjustable in the front) and a more sophisticated infotainment system. SE and HSE trim packs add bigger wheels, more electric seats adjustment and increasingly more safety kit. Unfortunately, going for one of these means paying a price that could get you into an altogether bigger and better SUV. 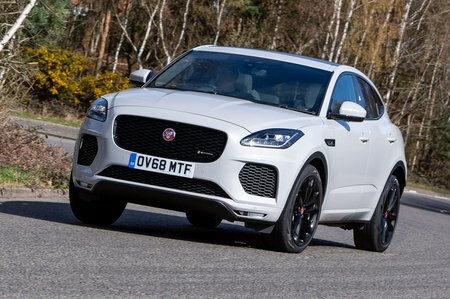 Jaguar didn’t do particularly well in the 2018 What Car? Reliability Survey, finishing a disappointing 28th out of 31 manufacturers. The E-Pace itself was too new to feature. Like all Jaguars, the E-Pace comes with a three-year warranty as standard, although this can be extended if you’re prepared to pay extra. The E-Pace is, quite simply, one of the safest cars in the class. All models come with automatic emergency braking, lane-keeping assistance and a system that monitors how tired the driver is. Upgrade to S trim and you’ll also get traffic sign recognition, while SE versions and above add high-speed emergency braking and blindspot monitoring to that list. Unsurprisingly, Euro NCAP dished out the full five-star safety rating for the E-Pace, although it’s hard to compare the breakdown of individual scores with those of rivals such as the X1 and Volkswagen Tiguan. That’s because the E-Pace was tested under a newer, more stringent set of criteria.